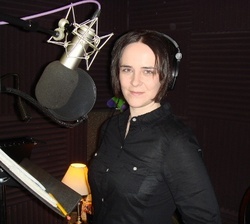 Sarah Williams is a Los Angeles based voice actress for animation, video games, audio books, and commercials. Some of her well known roles include Jinx the Loose Cannon from League of Legends, Sayaka Miki from Madoka Magica, Lisbeth from Sword Art Online, Nonon Jakuzure from Kill La Kill, and Shallotte Elminus from Atelier Shallie. Sarah has long had a great love for animation of all kinds. She is thrilled to have had the opportunities to work in the field she has long admired so early on in her career.